The former Starbucks location at the west end of Downtown Disney at the Disneyland Resort is set to reopen on December 10th! The Disney Parks Blog hinted at a its return a few weeks ago, but now the Orange County Register has confirmed the date. 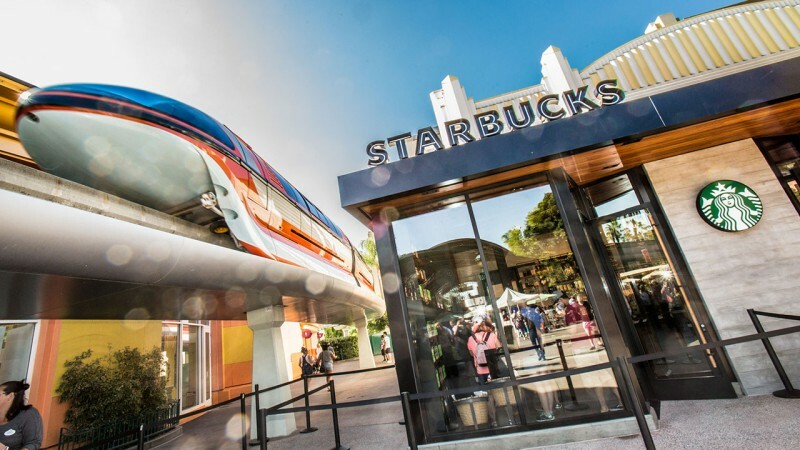 This Starbucks near the Disneyland Hotel was opened back in 2016 to supplement the existing location near World of Disney. It closed in June, along with several other businesses, as construction was set to begin on the ill-fated luxury hotel project. Starbucks joins Earl of Sandwich which reopened in the area back in October. There are rumors of other business wanting to return to Downtown Disney as well, including Rainforest Cafe, but nothing has been confirmed.